I was driving on No.3 road on my way to grab Bubble Tea from Bubble World in Richmond because I thirsted for one. Even though my girlfriend had warned me not to have one this late (it was around 10pm) or rather get one without tea or caffeine in it. So, we were nearly there until we saw this big white logo that stood out in the dark night, and my girlfriend had recognized this place right away. She mentioned to me about this place a few weeks ago, and told me they have free delivery. BBT FREE Delivery? So, I made a U-turn and pulled up to this place. No one was inside, but as you can see, it’s not your typical Bubble Tea joint. This place is more for take out or rather DELIVERY! As I went in, I was warmly greeted by the staff. And they presented their drinks very patiently to me in Mandrain, which I totally have no understanding of whatsoever. They had a list of 8 featured drinks, so to be safe, I ordered #1 on their list, which was Honey Cha Hua Green Tea + small pearls. It was quite good, in my opinion. It’s got a very strong taste of tea. Strong enough that kept me up all night. I decided this would become one of my favourite bubble tea place as they have small pearls instead of the big ones, just like the ones at Fair Bee. Although, I have to say, this place ain’t cheap. This medium size cup was just over $5. I’ll explain below how this cup of tea is $5. I’m sorry if it’s a little blurry, due to my bad scanning abilities. There’s 7 steps you take to order this perfect drink (although, they only listed 5 here). First, you pick either hot/cold/slush/ or green tea jelly. Second, you pick your tea from 4 choices: Stassen/Alishan/Oolong/ or Chahua. Third, you get to choose your flavour from a list of 13 different flavours. Fourth, you choose the size from x-small (375ml) to large (1L). Fifth, you pick what you want to add (this is entirely optional) from tapioca (big/small)/ agar/ or coco jelly. Sixth, you get to choose your sweetness from 1 to 7. 1 being the least sweet and 7 being the most. So there we have it! Oh one more thing, don’t forget to ask for their take-out menu when you go in. (There’s a 10% off coupon attached.) Shhh! 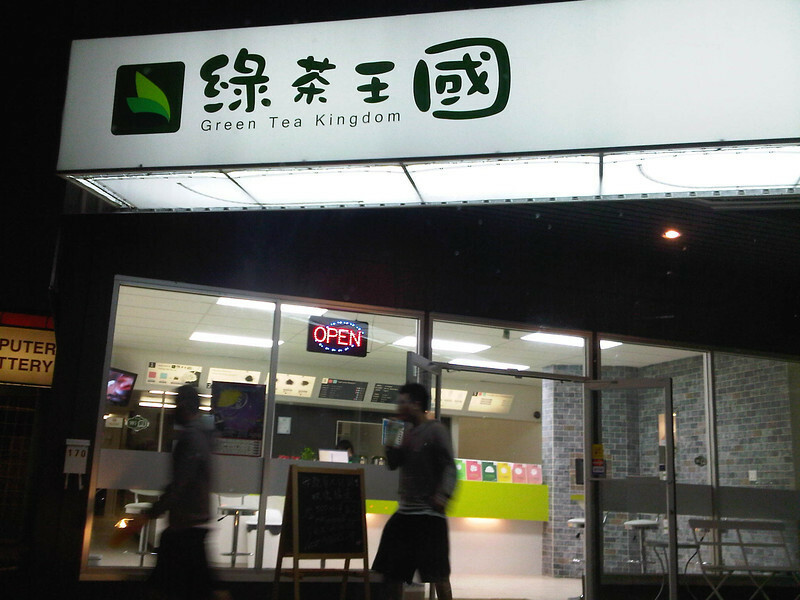 Get the GreenTea Kingdom Coupon here now! Yeah, I just passed by the other day and the plaec was for lease! It's too bad. I actually like their drinks! One of the few places with tiny bubbles. Do you know where their new location is? Yeah, I've only heard rumors of a No. 8 road and didn't know it really existed until I got an interview.. haha! 20cad? 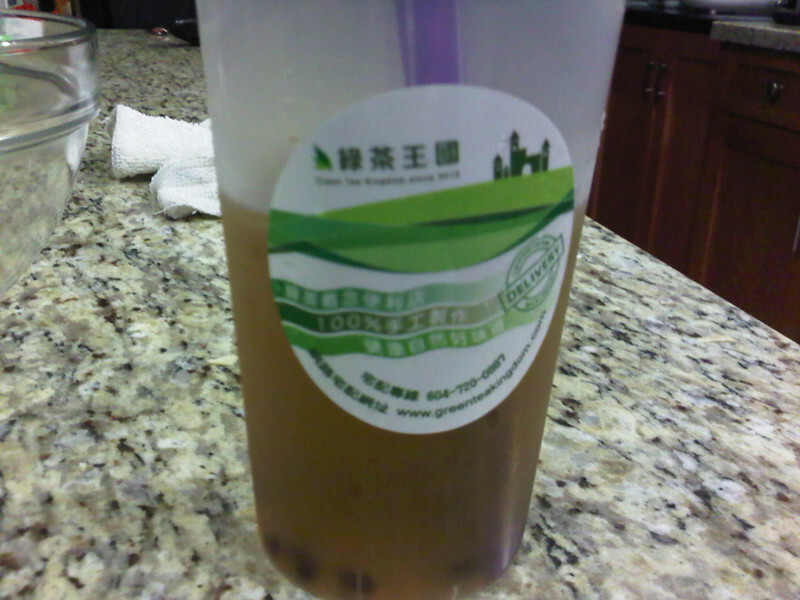 now I just have to find some coworkers who like bbt/green tea, yay!! Wow...I didn't even know no.8 road existed. I thought it only goes up to no.6! Good idea, save yourself 50cents! Ooooh!! I didn't know that. Never been to TW ...yet. But, I do know TW's is famous for their BBTs.